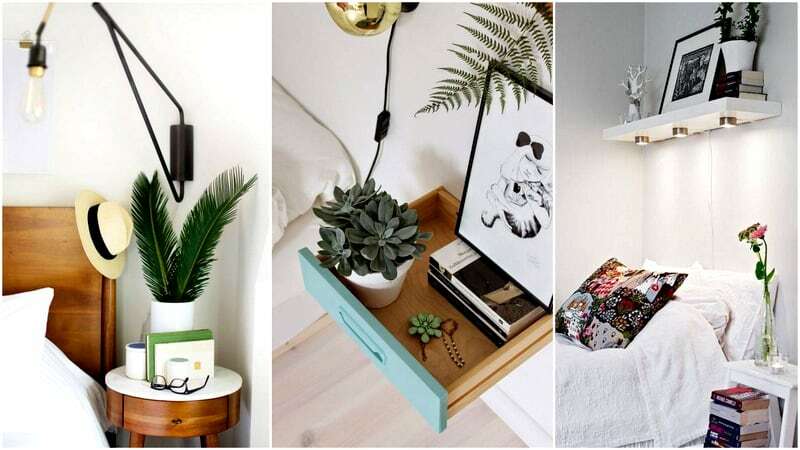 21 Super Small Nightstands Ready to Fit in Petite Bedrooms | Homesthetics - Inspiring ideas for your home. 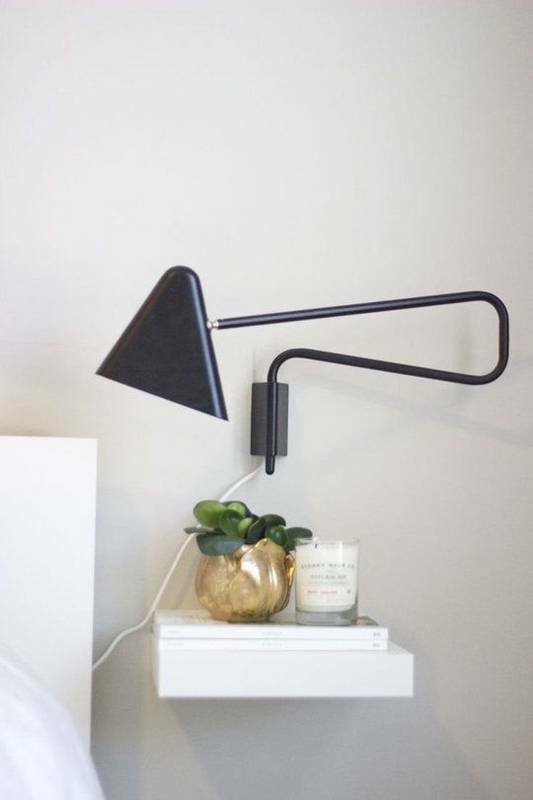 The nightstand is an item of utter importance and it`s well known that in small spaces, small bedrooms it raises challenges, difficulties for the inhabitant. The retail options are not as versatile as one would imagine and where designer items might solve this problem, huge costs follow. A compromise in terms of pricing is therefore the DIY alternative that allows the individual to pick the materials, the shape, the design language for a solution tailored to his needs, fit to his space. 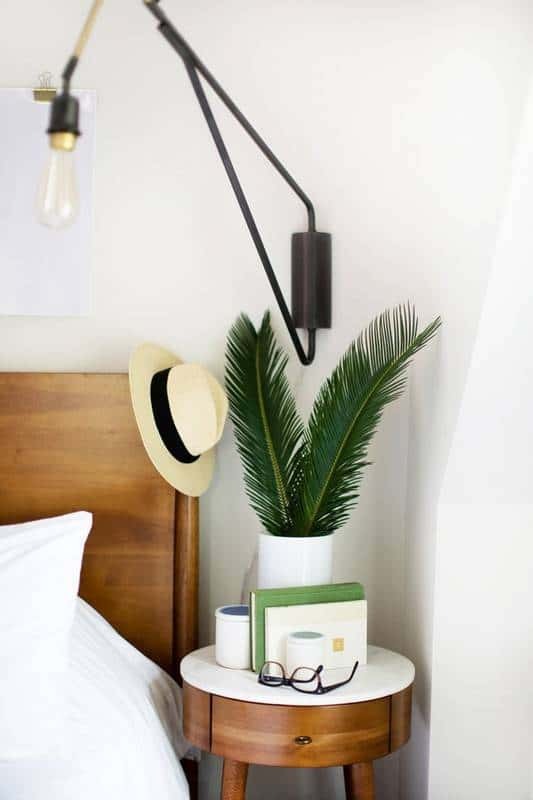 To emphasize the possibilities of the DIY course of action a small guide of super small nightstands ready to be fit in petite bedrooms has been tailored; this contains over-simplified nightstands characterized by versatility, functionality in all-around inexpensive project. Cast a glance and feed your imagination ! One shelf in plywood painted with the color of choice suspended in rope can carry your glass of water, phone or alarm clock whilst leaving the ambiance ethereal, surreal. Little did designers knew when they`ve crafted this stunning side-table as it turned out to be the perfect choice for a nightstand in an surreal beautiful, small setting. Simple gestures can lead to great things, shape floating rectangular volumes and create the illusion of gravity-defied for a stunning yet utterly practical look ! 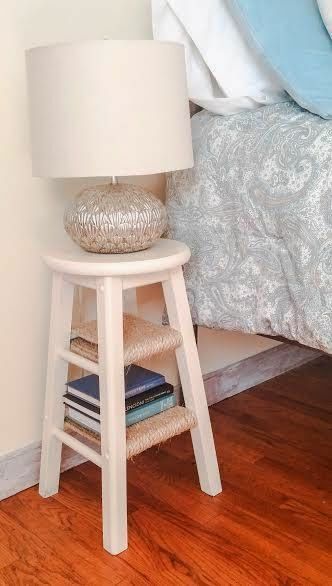 Add two intermediary shelves two a stool by simply wrapping rope across two pieces of wood on each level and the super small nightstand will boost great, petite functionality ! The stool can remain untouched, in bare wood, boosting greatness and visual comfort without sacrificing practicality and versatility. 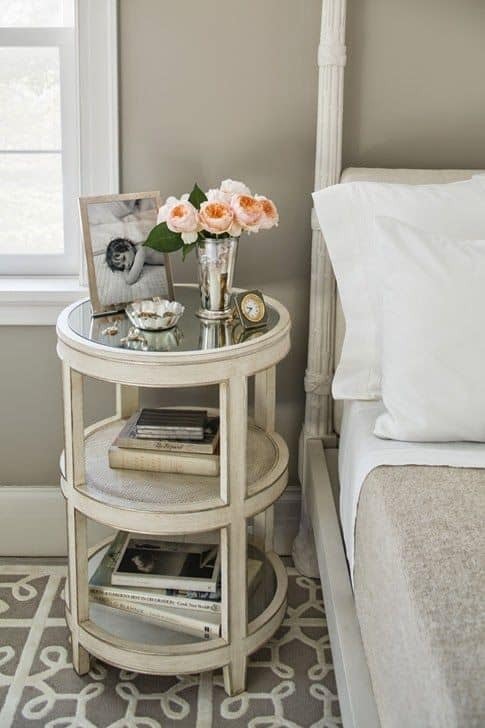 The right size side-table can shape a great nightstand, emphasize your decor with ease. 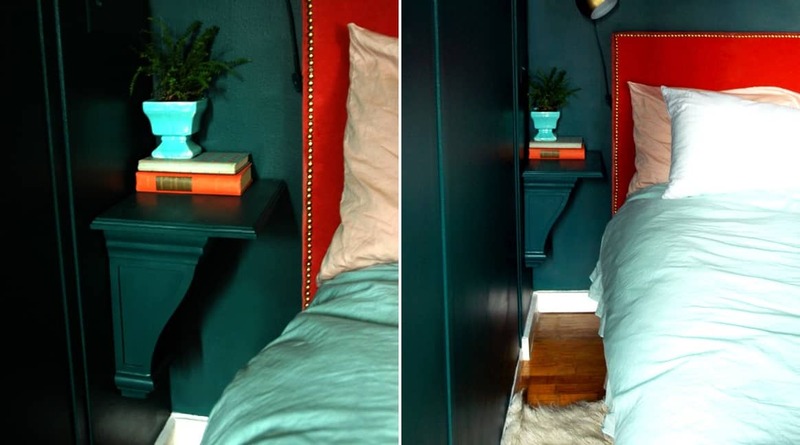 Limited space draws limitations in terms of furnishing yet custom-solutions can’t always be tailored, the nightstand above is highly practical and insanely easy to realize in a couple of minutes once you have your boards cut to dimension. 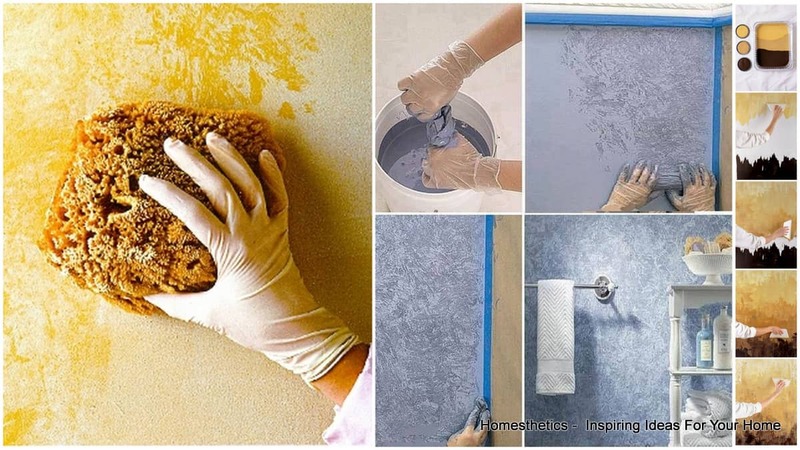 Plywood or MDF can be used in the process, hand-drawn paintings or simply spray paints can finish the item. 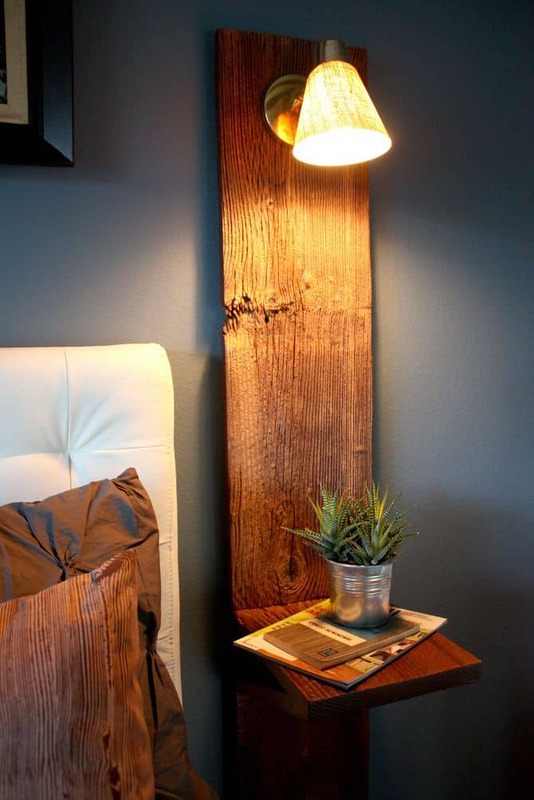 Tailor a solution perfect for your space ! 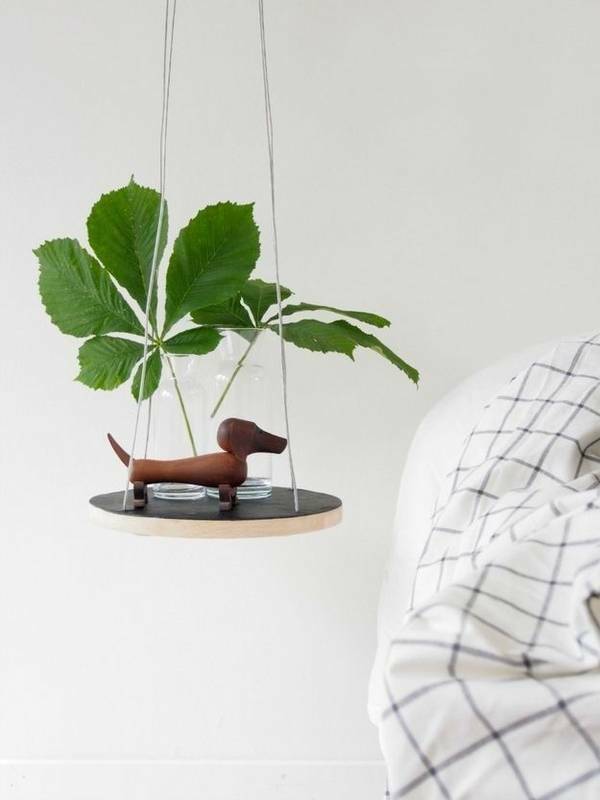 A piece of floating self measuring no more than 20 cm by 20 cm can hold your book, a candle, an alarm clock while a versatile lamp can slide back and forward to bring a comforting shiver of light in your book adventures. Open shelving can be functional, practical whilst encouraging an airy-breathable ambiance that communicates with the inhabitant`s spaces. It can carry plenty of nightstand books, accessories and any other small item you might need at your side. 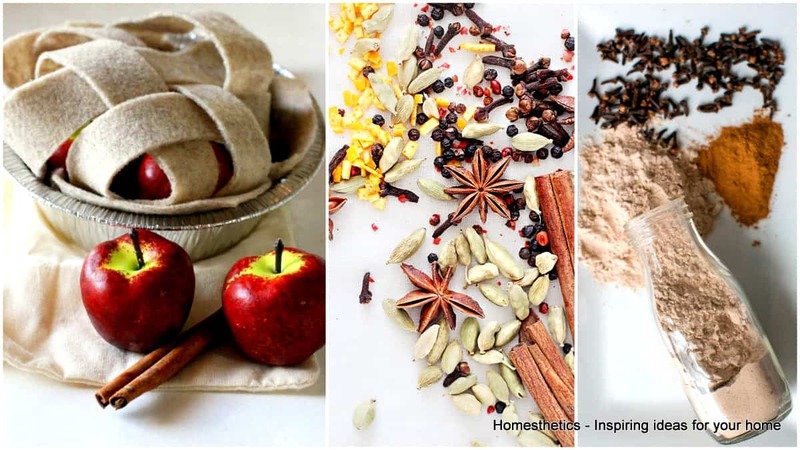 The article above can be purchased or crafted, the diy alternative would not take more than an hour of work, crafting with friends is highly recommended, memories will also be built in the process. 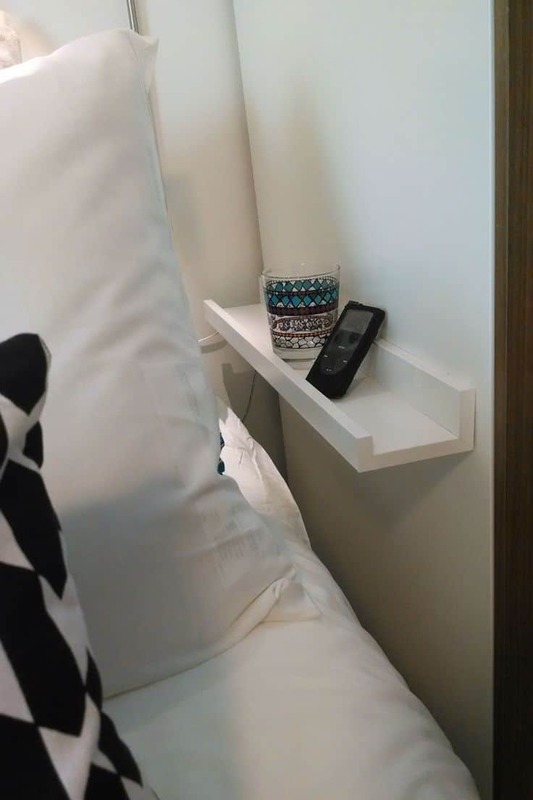 Small solutions are an option, one ten dollar shelf can resolve a problem in otherwise impossible spaces, a wall mounted shelf will hold your glass of water and your alarm clock, emphasizing the whole bedroom experience. 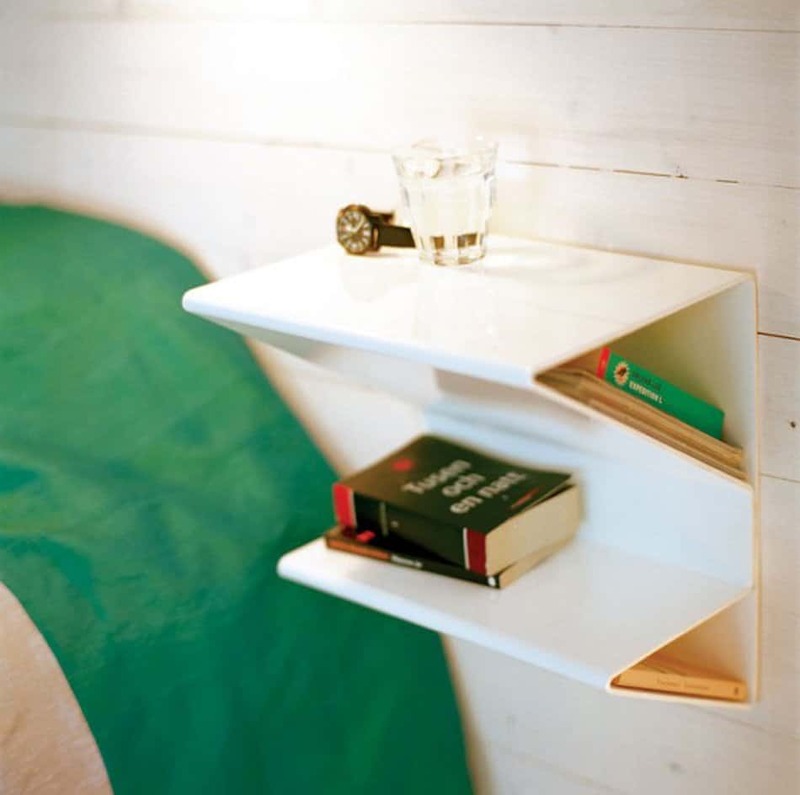 With the right materials, the shelf can be crafted in less than 10 minutes by an enthusiast. Inexpensive the ladder from IKEA is; highly versatile as well. It can nestle your books and candles when needed and help you get stuff out of your high shelf in the free time “after-work”. 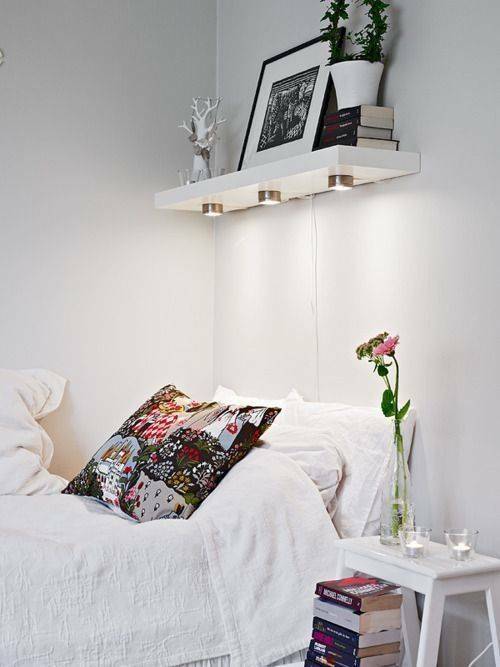 Above the bed a floating shelf with battery powered led-spots can provide the light you need for late night reading without cluttering space. 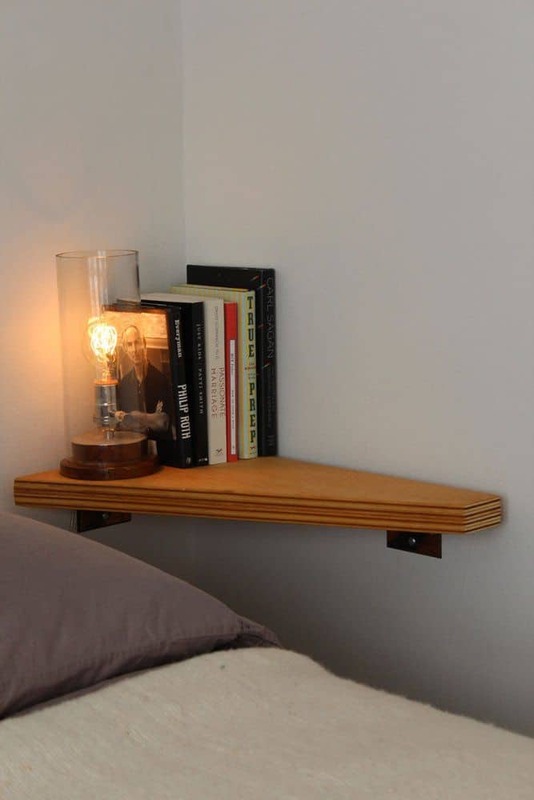 The right piece of wood can shape anything, yet a simple shelf to function as a nightstand can look surreal with little to no effort, emphasizing a space greatly with a coziness and warmth through the amazing texture. Beautiful, versatile, simple. 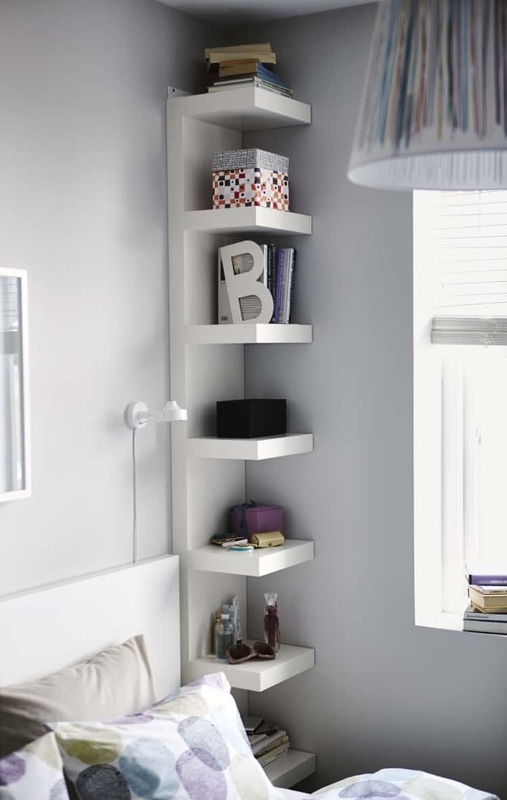 Using a graphic drawer as a floating shelf is highly creative and utterly beautiful, this will be a drawer like no other in practicality yet a drawer like all else in its form, carrying the items that you need, when need be. Use green mint or teal to create a beautiful subtle contrast with the wooden surfaces. Designer items can have great answers to small problems yet they might set one back a little, the sculptural wall-mounted bedside table above can be purchased for $390 and it features two triangular storage pockets where one could nestle a book, an alarm clock above, a phone or a small bottle of water. 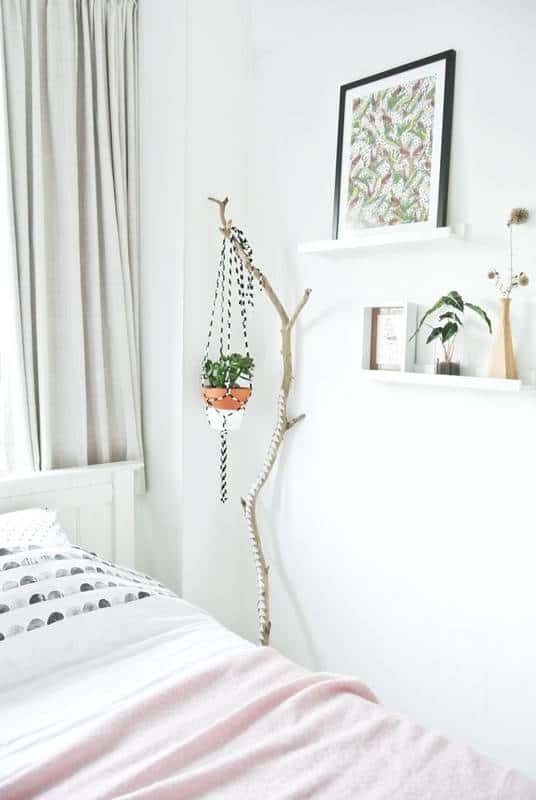 One painted branch carrying one potted plant might sound off for some individuals yet it can create great visual comfort with little effort whilst refreshing the air you breathe. 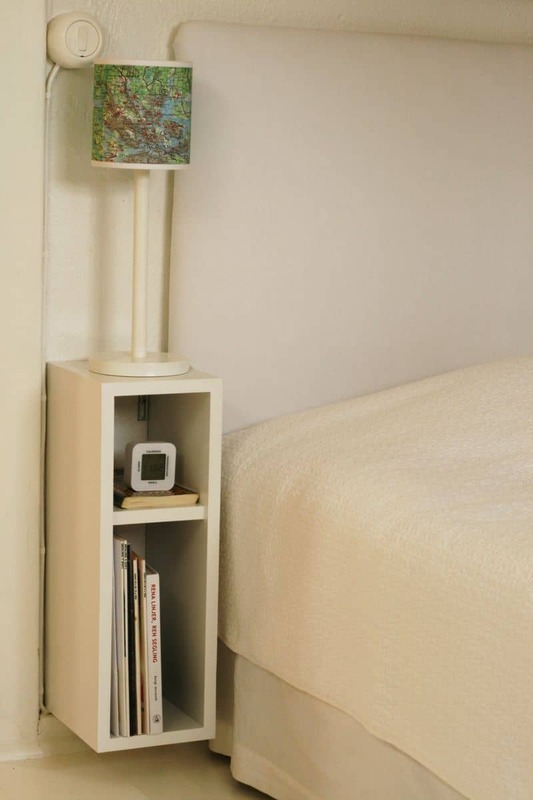 A square-shaped nightstand can resolve one`s issue, it is a simple idea to be realized at home in minutes and it can solve the problem of so many modern bedrooms in terms of space. 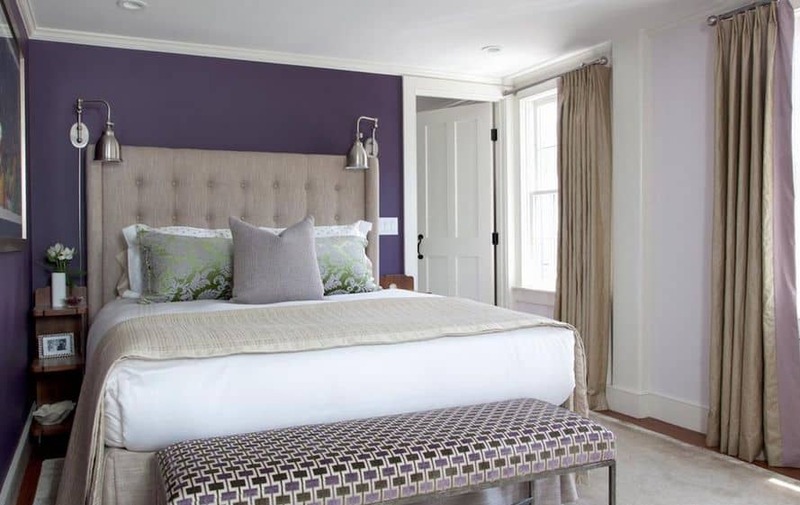 The ability to float also emphasize the feeling of space and the bedroom airiness without sacrificing on practicality. 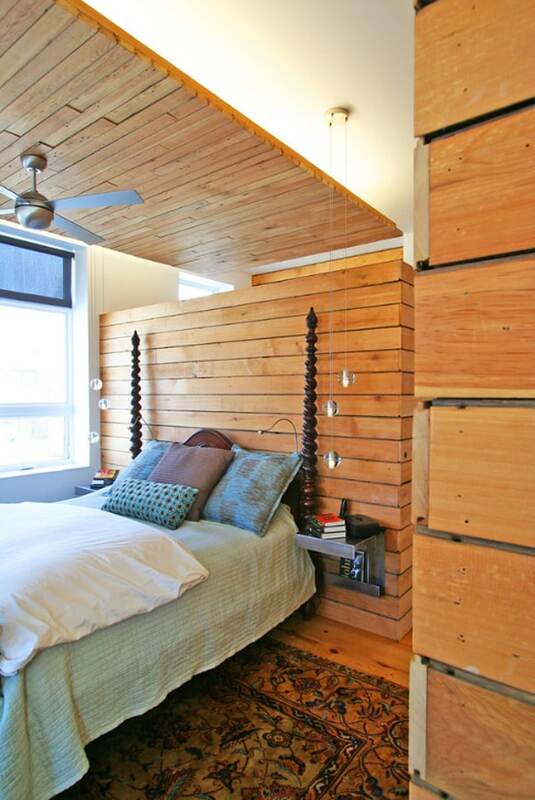 Plywood and MDF might create the little small contrast that your bedroom requires. 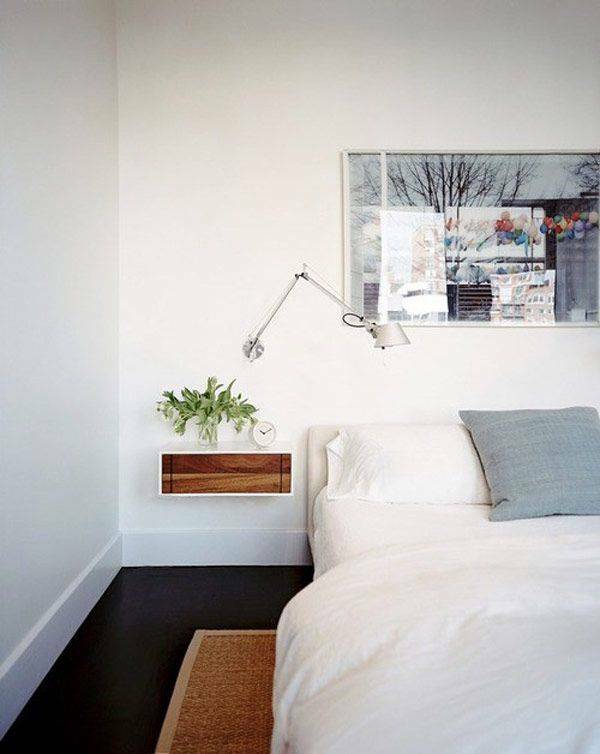 A small form factor can nestle it while boosting the functionality of a floating nightstand, emphasizing the feeling of space. A corner shelf can function where no other options could. You can customize this to your advantage, you can create that practical presence that you`ve sought so much rapidly. In the grand design above the shelf takes the color of the wall entirely creating an awesome look as the the furnishing seems to be grown out of the wall itself. Two brackets and one geometric piece of plywood tailored for your corner, it is that simple and it can be that space-efficient and practical, no matter how small your bedroom is, this solution works in your advantage. A classical nightstand in design language, a classic look with a small form factor carrying just a little bit of storage for your convenience and one petite shelf. 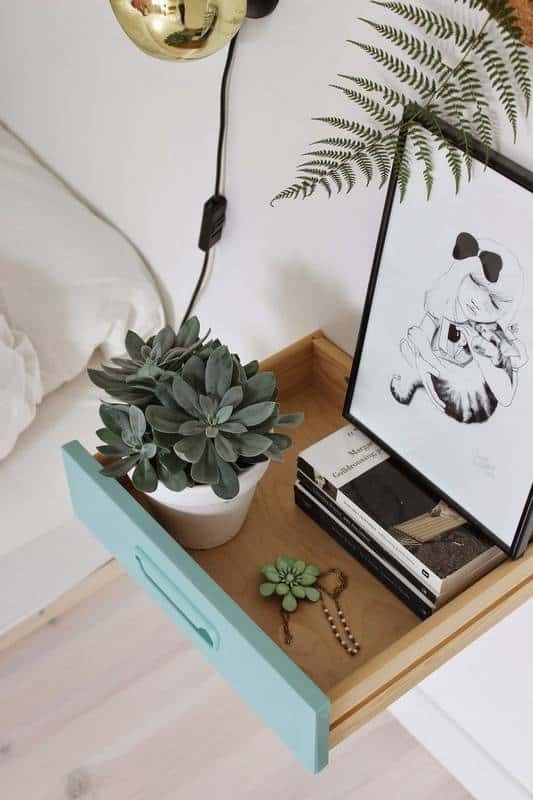 The nightstand could be tailored with materials purchased from your local hardware shop and amateur power tools, little experience is required in the process as well. 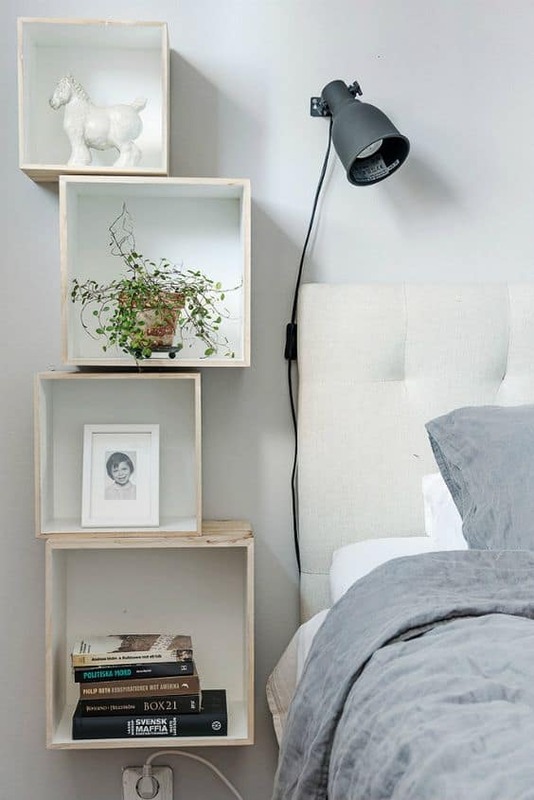 In wood open shelving dimensioned to the size of a regular nightstand is an option as well. 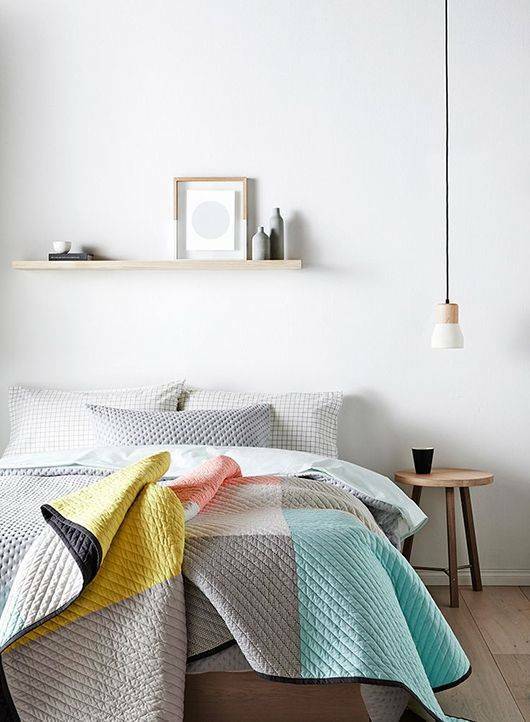 The narrow items resulted will have the good attributes of a simple nightstand in a cute petite shape. 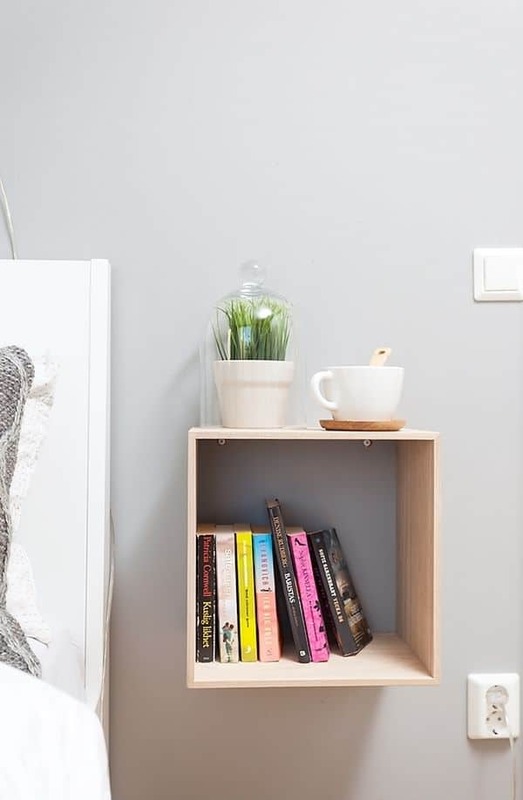 The floating nightstand emphasizes the feeling of space as it frees up floor room, allowing air to flow freely, making the room look spacious, ingenious, clever whilst keeping small items at your grasp. What do you think about these super small nightstands ? We would love to hear your opinion in the comment section below !